Even though I have officially moved my blog to here I am posting today to offer an Easter Giveaway for anyone who wants to take part. All you have to do is leave a comment at the end of this post and I will choose the winner through random.org on Bank Holiday Monday (thats Monday 1st April 2013). Each comment will be awarded a number, i.e.. the first comment will be no.1 and the second will be no. 2 etc. The winner will get this dress and I will contact them for posting details later. So hope you like the dress and fancy a go. Happy Easter Chicks! happy Easter!!! i wish I get lucky!!!! Adorable dress!! Happy Easter!!!! What a sweet giveaway! Very pretty dress! I love it, it is so nice of you to do a giveaway. Lovely! Happy Easter to you, too! Happy Easter, Hilary! The dress is gorgeous like always!! Happy Easter! Good luck, everybody! Love that dress. Happy Easter, Hilary! I do fancy a go - lol! I always admire your darling pieces, and this dress is just lovely! Wishing you a very Happy Easter. The dress is lovely. This comment is on behalf of Helen Naylor who couldn't post it herself so I am doing it for her. What a lovely thing to do, Hil! The dress is perfect! Happy Eatser! Thank you for the chance to own one of your wonderful pieces of couture! you must be on a chocolate high to be so generous!! I love all your designs. Happy Easter. Very nice! Thanks and Happy Easter to you! Happy Easter Hilary. Beautiful dress. As always, another fabulous outfit!!!! Love this dress!!! I'm so hoping to one day get on your list! 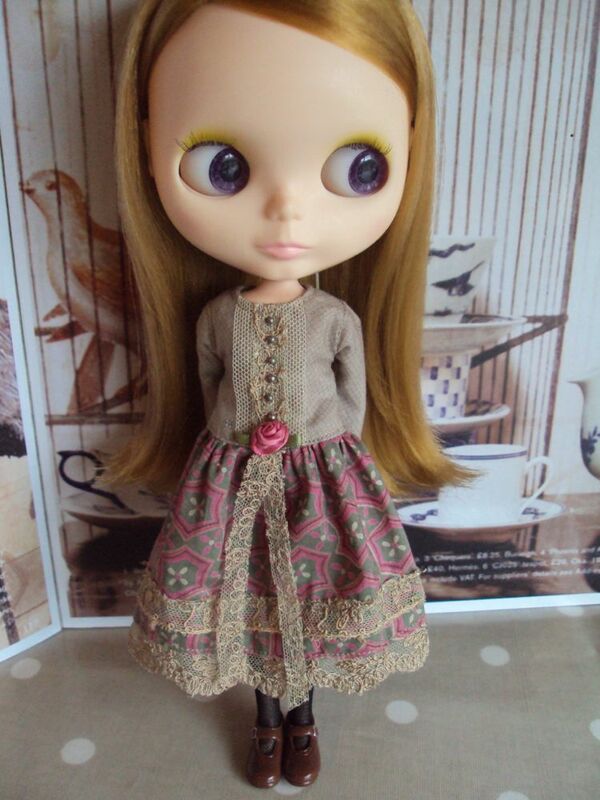 My Blythe needs one of your outfits! Happy Easter! Thank you! Love your work Hilary! Happy easter. Deliciously delectable dress... many thanks for this opportunity! Enjoy Easter. That's so nice of you, Hillary! Happy Easter? I love your creations. Happy Easter,Hilary!!!! Thanks Hilary for this amazing giveaway! Thank you for the giveaway and happy Easter! Beautiful dress! Thank you for the opportunity to win it, and Happy Easter! Happy Easter ! Beautiful dress as always ! I hope it's not too late. That dress is gorgeous! Happy Easter! Thank you so much! It's so beautiful! Happy Easter! Love Moshi Moshi. Happy Easter! Happy Easter! What a lovely dress! It's beautiful! I'd love a chance if it's not too late. ♥ Thank you! What a wonderful dress! Thank you for this giveaway! Gorgeous, as always :) who ever wins is very lucky! So beautiful!! What a wonderful giveaway! Ooh hope I'm not too late to join! What a wonderful idea!